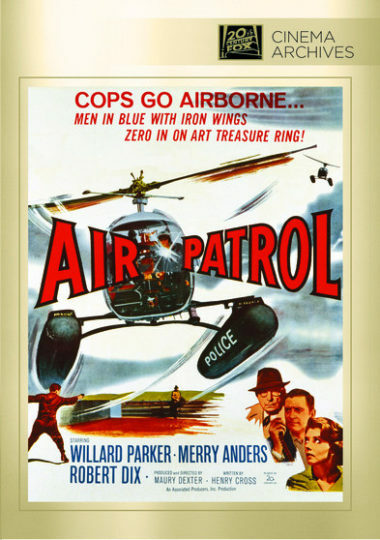 Air Patrol – After the theft of a valuable Fragonard painting by a thief who pilots a helicopter, its owner agrees to pay a ransom. Los Angeles Detective Sgt. Castle and his two partners investigate. Willard Parker, Merry Anders, Robert Dix, John Holland, and Russ Bender star in Air Patrol. 1962 – BW – Letterbox – 70 Min. DVD, Digitally remastered.